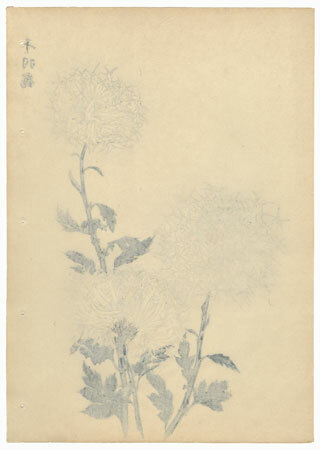 One Hundred Chrysanthemums by Keika - Beautiful design from Keika Hasegawa's series "One Hundred Chrysanthemums by Keika," published in 1893. 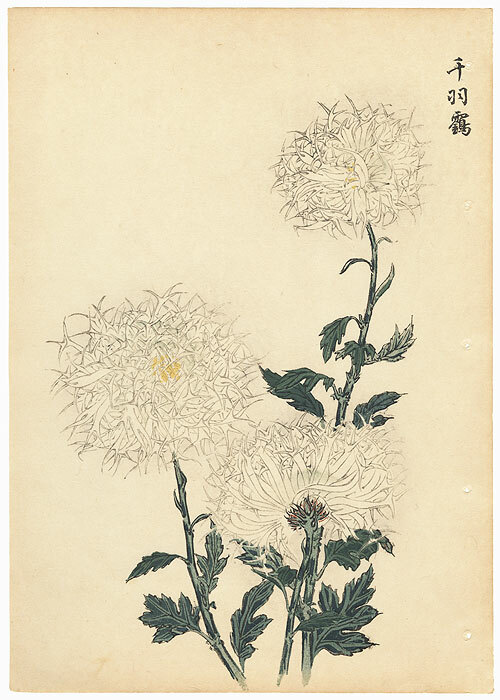 Throughout Japan, the kiku or chrysanthemum is honored as a beautiful symbol of longevity and perfection, and is the official crest of the emperor. 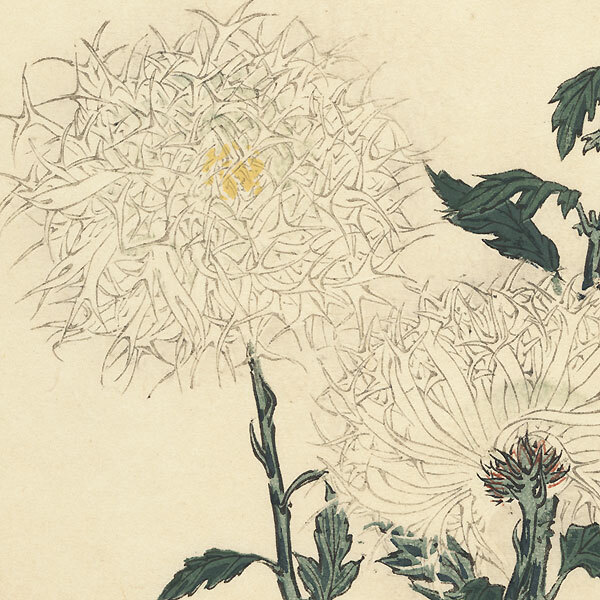 These lyrical illustrations capture the individual character of the many different varieties with sensitivity and grace, combining elegant and expressive lines with color ranging from delicate to vibrant. Image Size - 12 1/2" x 8 3/8"
Condition - This print with excellent color and detail as shown. A few stitching holes from original binding. Slight toning. A few prints have slight soiling or a few small spots. Please see photos for details. Generally in good condition overall.